Wind tunnels, time trials and plotting to win the Tour de France are not the topics of conversation you would expect when engaging a member of Páraic Fanning's backroom team, but in the hour before a December challenge match between the Waterford and Dublin hurlers, this is what Stephen Barrett is explaining with his usual enthusiasm. 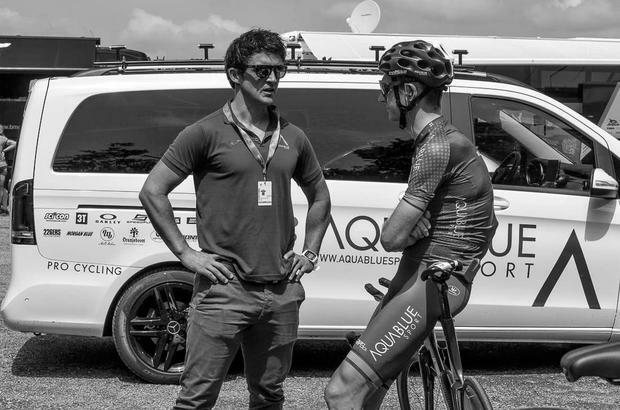 The Fermoy man is a dual star in sports science, aligned to his now adopted home of Waterford and for 2019 to the World Tour cycling team AG2R. Barrett had a hurl in his hand from the age of six, but grew up to become a man of the Rás and competed on the track for Ireland. After a bad crash in 2011 left him with a broken bone in his neck, he decided to concentrate on his academic career. He secured a lecturing position at WIT, where his own studies began 15 years ago, but for the last two years the former triathlete also worked as head of performance at Irish cycling team Aqua Blue Sport and sports scientist with the Waterford hurlers. He's one of few jigsaw pieces left in place from the Derek McGrath era; he decided to continue after a request from the players. However, 2019 will be primarily about the bike for Barrett, with the French team determined to give their Tour contender, Romain Bardet, every chance of ending the wait for a home winner - Bernard Hinault was the last man to do it in 1985. When Aqua Blue imploded dramatically last August, the riders were left scrambling for the lifeboats, but Barrett found himself flooded with offers. "My priority at the time was to try and help the riders that were left with no contract. I had built up a strong relationship with some of the guys and felt some responsibility for them. I knew I'd have something else to fall back on. A lot of guys were just left with nothing," explains the 33-year-old. Barrett had been in contact with AG2R's performance director Jean-Baptiste Quiclet since the Tour. He made an impression at the annual Science and Cycling conference with a presentation on his work as a high-performance coach and how to maximise performance with a limited budget, "which is what we had at Aqua Blue", said Barrett, who has a Masters in exercise physiology and has also worked at the Queensland Academy for Sport. Within a week of Aqua Blue's demise, AG2R were on the phone to him again. "I was kind of embarrassed, here's me getting an offer from World Tour and these guys have nothing," said Barrett. And he soon had offers from three other teams. "To be honest, AG2R wouldn't have been at the top of my list. Typically they're a French team that don't speak English, I didn't see it as a good fit." After travelling over to the team base in Chambery, at the foot of the Alps, to meet team manager Vincent Lavenu and a staff that spoke little to no English, Barrett was won over by their big-picture, long-term vision and their desire to widen their horizons. "I expected to go over there and for them to say, 'look you're great and all, but your French isn't good enough so let's just leave it at that.' But it couldn't have been further from what happened. I went over there and couldn't really communicate very well because they spoke no English. But I left with them saying they would do whatever they could to get me in there, and help me integrate, that they saw a real vision for me," he said. "What convinced me was that they just seemed to care, as opposed to just trying to put some piece of a jigsaw together." The larger team structure will allow Barrett have a more focused approach at AG2R, with time trial performance a priority, but he will also be overseeing aerodynamics, altitude training and nutrition. Barrett already has his race programme for 2019, and it includes most of the major stage races, almost anything with time trialling miles on the parcours. It's an exciting prospect. "You're going to try and make one of the best riders in the world, on one of the best teams in the world, even better," says Barrett. He has handed in his notice at WIT and his role with Waterford won't be as hands-on next year, but he's used to the juggling act. Waterford's All-Ireland final date in 2017 fell right in the middle of the Vuelta a Espana, the biggest race in the short life of Aqua Blue. The day after Galway left the Déise licking their wounds, Barrett was flying back to Spain in help the road warriors. He returned in time to see their Austrian rider Stefan Denifl soar to a prestigious stage victory, but it was the more modest achievements by the likes of Irish national champion Conor Dunne that made an impression. "Seeing Conor just make it to Madrid was an experience that stayed with me," Barrett said, of the pro cycling's tallest rider. "If you were to draw a cyclist who is least suitable for doing a Grand Tour it's him. He's 204cm, 90 kilos, that was 21 days of torture for him, but what he did was extraordinary and it just opened my eyes to what athletes can do when they're motivated. He inspired me a lot." Dunne's survival, and his contribution to that stage victory, formed part of Barrett's presentation at this year's Tour. "I gotta thank him for giving me the content," he says. However, Barrett is not blind to the cynicism that's generated by outstanding athletic performances at a time when the darkest corners of elite sport have been illuminated by international scandal. His perspective, though, is dominated by his background in sports science, an area he believes provides enormous potential for improvement. "I think you'd be surprised how many elite, professional teams don't have people around them, where athletes feels it's safe to talk or they can ask advice or ask for your opinion... and an athlete is an athlete, they're human beings. "It's their livelihood, it's what pays the bills and they will do what they feel is necessary to succeed, but if you can begin to position (the right) people around athletes, you can inform them about ways to improve performance (legitimately)." In 2019 he'll be spreading that message at home and abroad. "I like talking about it," he says. "It's not said enough."